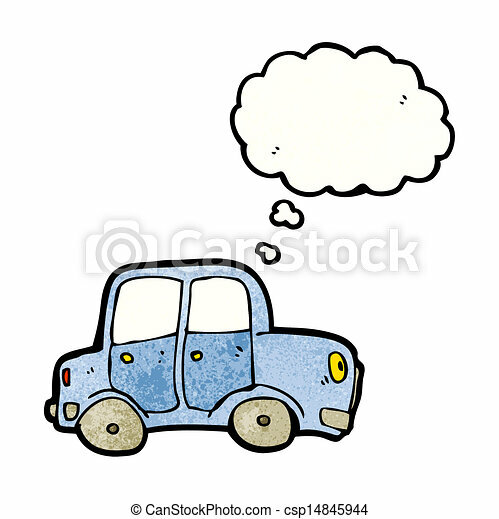 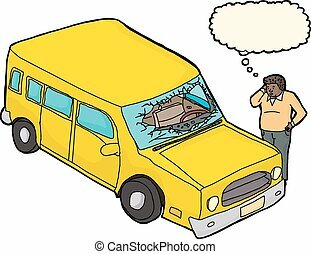 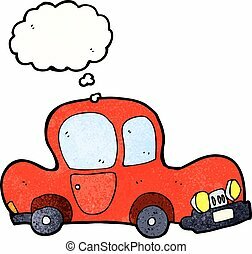 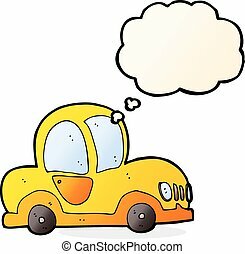 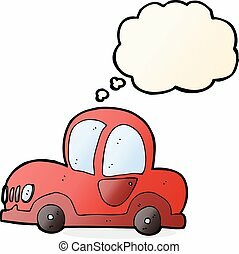 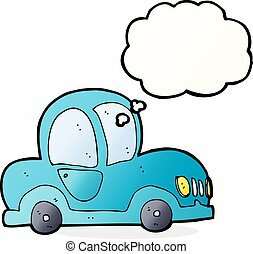 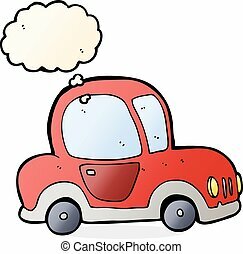 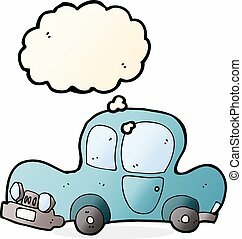 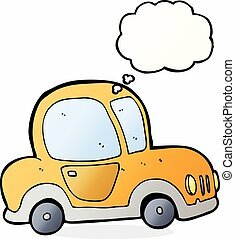 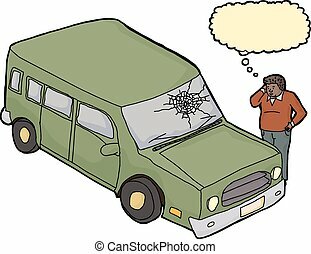 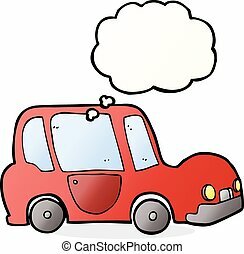 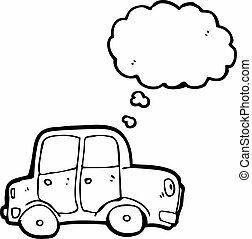 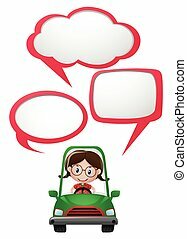 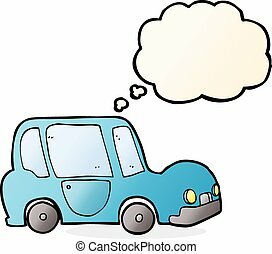 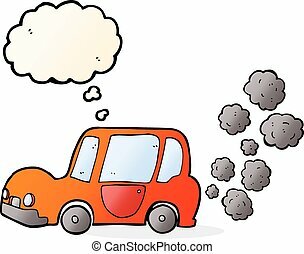 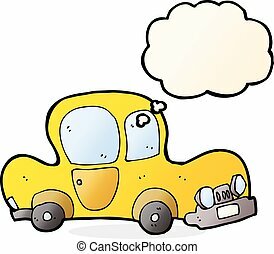 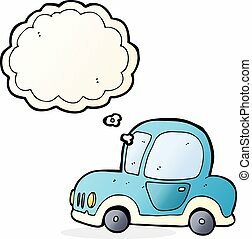 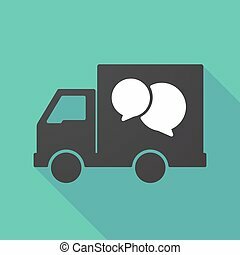 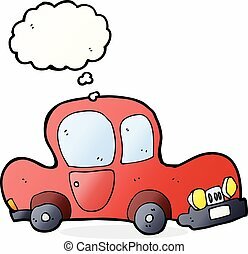 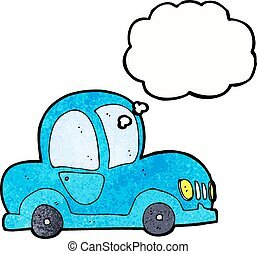 Cartoon car with thought bubble. 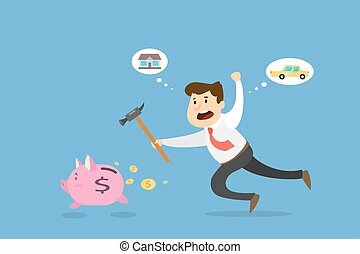 Businessman with hummer trying to catch running away piggy bank. 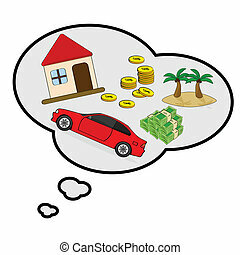 Thought bubbles with car and house.